“I’M pretty sure the first time I saw Fidel was in the University of Havana’s Plaza Cadenas when I was studying to become a Physics teacher in 1967. He would come to the University every so often, to talk with the students, and one evening I was there,” recalls trova singer Vicente Feliú sharing his memories of Fidel with Granma. “Later I saw him many times, when the New Trova movement began, which always had his and Haydée’s unconditional support. People don’t talk about it much, but Fidel always supported the movement and the trova singers that led it. “Once I sang before him with my brother Santiago Feliú during an International Education Congress. I was very nervous, as I told the audience, because it was difficult for me to sing in front of the person that had taught me to think. I also saw him at the concert for the launch of my album Regresaré, and once I dedicated a song about little Elián to him, which he really liked. Meanwhile, visual artist and singer Diana Balboa, Sara González’s life partner, remembers, “I saw him up-close for the first time as a 15 year old girl teaching people to read and write. At that moment I had a gun in my belt, and he was standing next to an Argentine comrade who asked to see the weapon, so I gave it to her. Fidel told me off for being careless, as people had been killed by stray bullets. Fidel inspected the gun and gave it back to me. “I met him again many times in many places during the period of the Battle of Ideas. We painters joined the Battle of Ideas and greatly enjoyed his company while working in several of the country’s provinces. “He was aware of the immense power of film to communicate ideas, stories… which is why, in the midst of the whirlwind in which I imagine he lived, he found time to dream up ICAIC and then the San Antonio Film School, and even accept an invitation to go to Playitas de Cajobabo with Santiago Álvarez, to tell the story of the Granma yacht landing on camera. “There I saw him in a different light: closer, tender, speaking to everyone in Santiago’s small team; we were all running around him, organizing the work: Iván Nápoles, Raúl Pérez Ureta, Jerónimo La­brado, and Fidel, who kept asking us if he was doing it right. “I’ve come here to please you Santiago, but I don’t want you to compare me to Martí”… that’s how the long interview featured in the documentary The necessary war began. Later Santiago started to improvise, and told him there behind the cliff, lived Sa­lutiano Leyva, the small boy that had known Martí. Fidel agreed to venture out and visit him. With almost no film, and driven by Juan Almeida in the convoy jeep, we arrived and Fidel’s meeting and conversation with Salustiano turned into My brother Fidel. “Years later and to my surprise, Frei Betto with whom I was shooting a film, told me that we were going to see Fidel (Betto tells this beautiful anecdote really well). We arrived to the Palacio, where Chomi was waiting for us, we had to wait a while because Fidel was busy… I thought the room we were in was the place for the takes, like the guards had told us. When Fidel finally arrived, he asked me: Did you choose this place? I didn’t speak with Betto here, I spoke with him in my office…let’s go there. He explained for the film how the book Fidel and Religion had come about. By that time, it was the early morning, and while we packed up all the equipment, he read and replied to cables and just before saying goodbye, asked me: What’s the documentary going to be called? I replied that had Betto said you don’t want your name to be in the title, and between the two of us we thought of an phrase by Cintio Vitier: That invincible hope, which captures the essence of what we want to say. I like it, said Fidel, and bid us farewell. 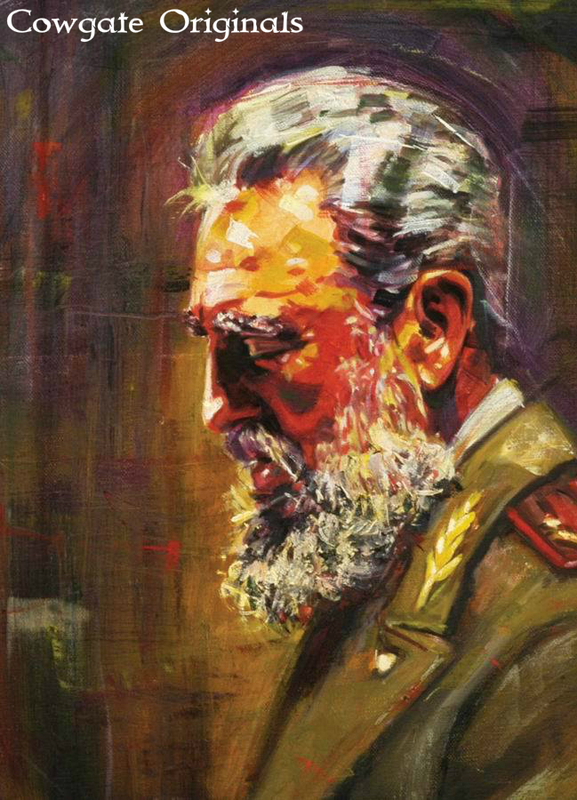 “Moments with Fidel and The longest day are two documentaries that emerged from film shootings which took place at different times; they are memory and heritage which capture the thought, ideas and difficult situations in which Fidel was involved. I think about scenes such as when he finds out that Batista has fled, or ones in which he remembers those killed during the war. “I remember the intense drama – broadcast live on TV – of the moment when he had to announce that the long-awaited 10 million ton harvest would not be met. I have watched hundreds of feet of film and hours of footage which record the life of Fidel, and I always think of a leitmotiv: his contact with all problems and all the people, his desire to want to know everything, take care of all of us, help us to understand the complexity and beauty of making a Revolution.